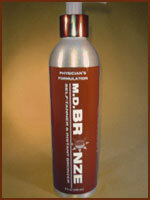 Introducing the new 2 our developing tan. Now shower after 2 hours instead of 8! 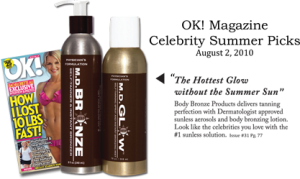 No other salon carries this exclusive Body Bronze Product. 3 levels of color produce a customized tan for every skin tone! SUGAR TANS ARE IN, MYSTIC TANS ARE OUT!!! Please see our preparation and care instructions for the ultimate Sun Kissed Skin. 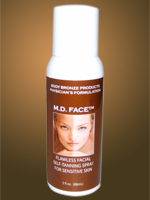 We use a Sugar Based DHA product that reacts with your skin to create a natural tan. No orange undertones, no greasy feel, dries in minutes!! *Special Pricing for Competition Color for Fitness models using Special Process! Contestants have received a 10/10 for their tan using our method* Call for information! Sun Kissed Skin Offers on location Airbrush Services with Competition Level Color! Dries in minutes, No strong odor! Just a beautiful Bronze Glow! Call for special pricing due to special process! 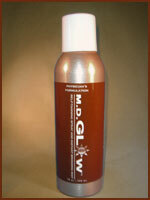 Competitors have received 10/10 on their tan using our method! Tanning Parties: groups of 5-10 people, $35 per person. Host is free! Special pricing for parties of more than 10 guests, $30. Add a $10 Mobile, On the Glow charge. Special Pricing for Student Parties! Birthday Parties: exciting new way to celebrate at any age! Special Occasions: bridal parties, photo shoots, school dances, girl’s night! 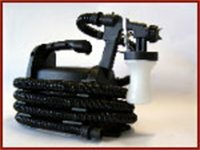 Host receives Free Airbrush Session with minimum of 5 guests! Choice of our salon location to host the party or your home or salon! Retail Products – Same great Organic,Vegan, Chemical-Free Formula! Lightweight compact mobile system in one package.